Grim Reaper scythe comes in four pieces and clips together. The blade is moulded plastic with what looks like a skeleton hand, holding the blade. 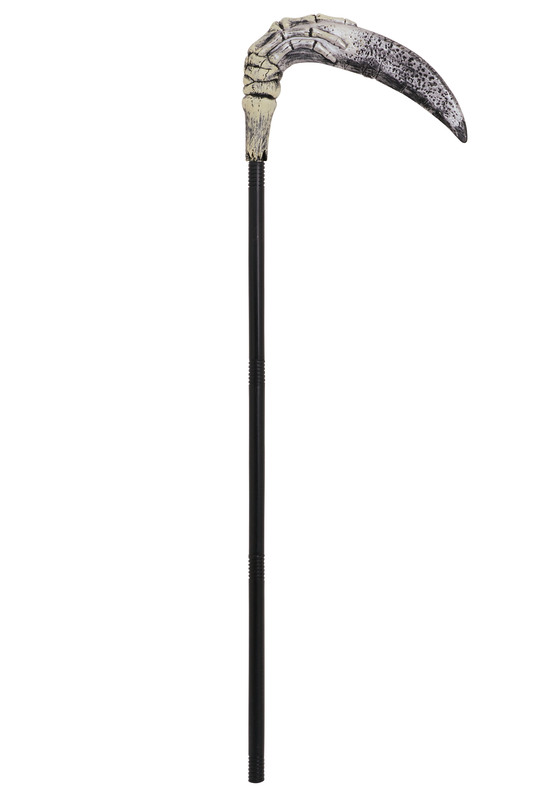 Once assembled, the scythe stands 117cm high.